This guard has an adjustable ring on the back to slip onto either your index or middle finger. 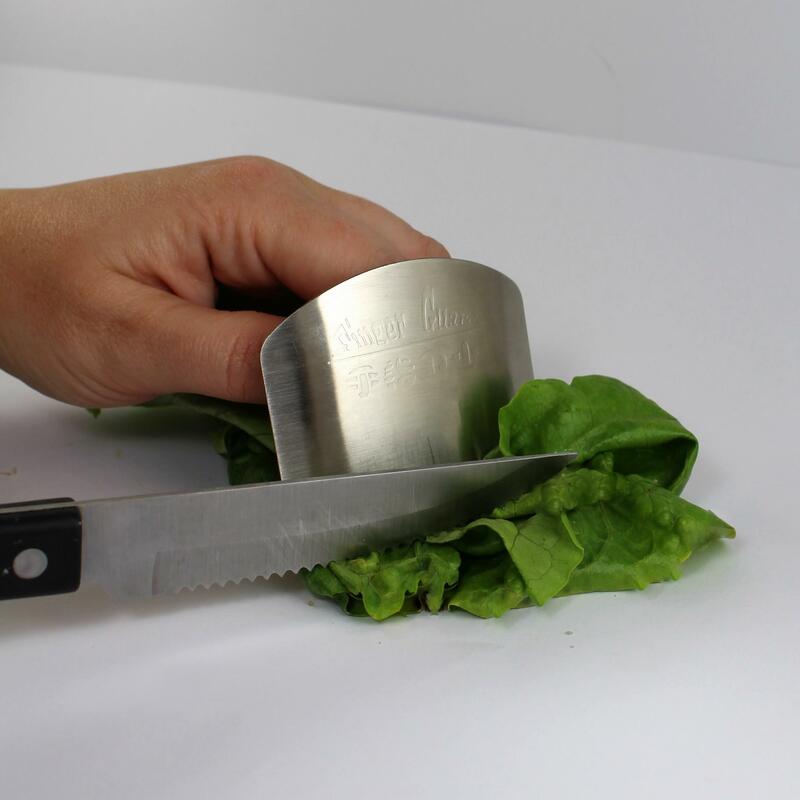 The stainless steel guard panel is slightly curved and works well for holding leafy vegetables or pieces of meat in place. The finger gaurd protects your fingers, increasing safety and efficiency in the kitchen.